A silver personalized name heart necklace pendant custom made with your name on the front in .925 sterling silver. You can also add a matching sterling silver box chain in 18" or 20" or wear the personalized heart pendant with one of your own. Can be inscribed with up to 7 characters. Also available in gold or white gold, displayed below. 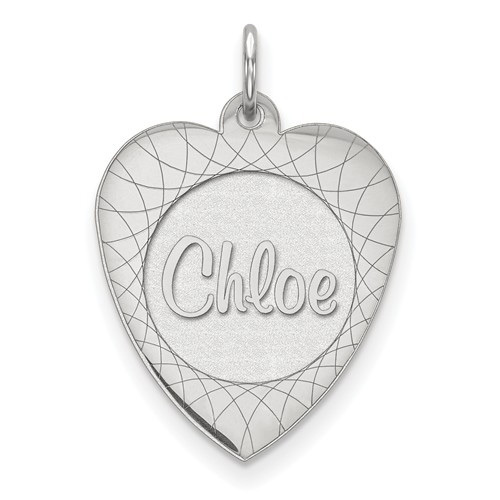 We guarantee our Silver Personalized Custom Name Heart Necklace to be high quality, authentic jewelry, as described above.